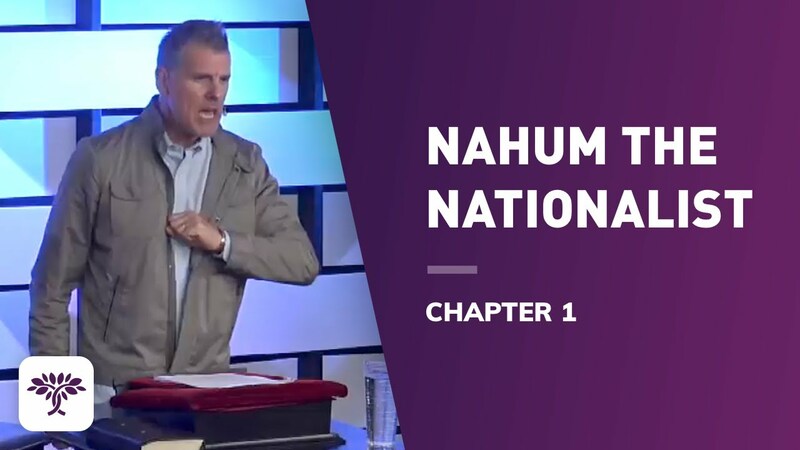 "Nahum the nationalist" The pictured prophecies of Nineveh’s fall is so realistic it would seem that the prophet was definitely an eyewitness to them. 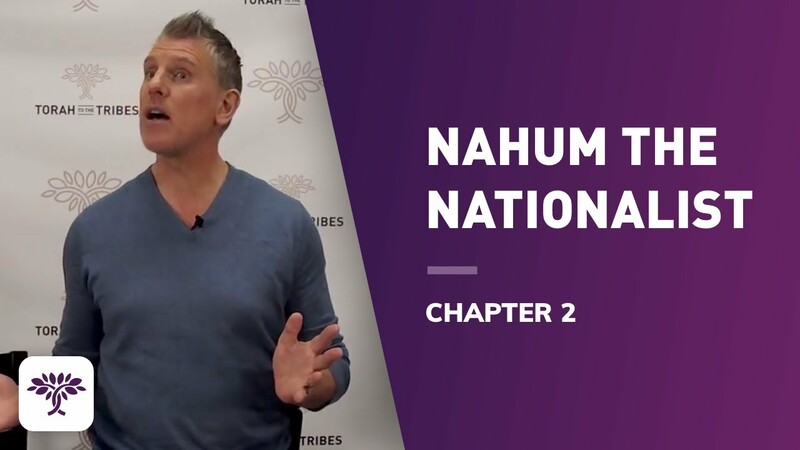 Nahum’s an inspired poet and prophet who delivers some of the greatest war poetry ever written…there’s no more important time to examine the words of Nahum the Prophet. 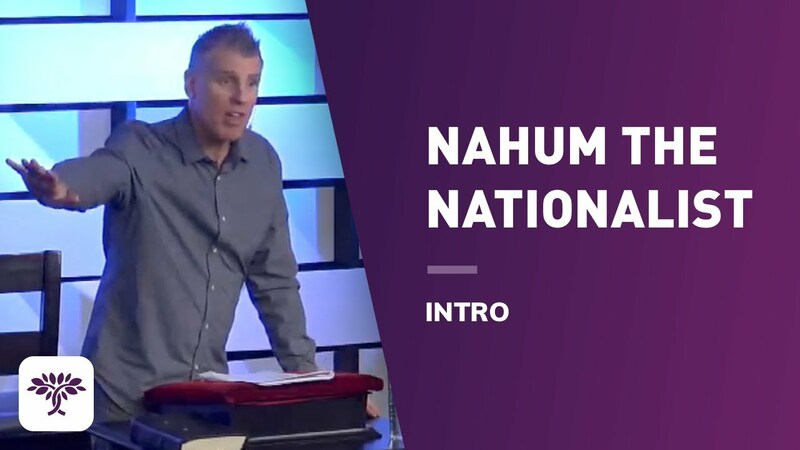 Nahum 1:1 The burden of Nineveh. The scroll of the vision of Nachum the Elkoshite. 2 El is jealous, and vuvh revenges; vuvh revenges, and is furious; vuvh will take vengeance on His adversaries, and He reserves wrath for His enemies. 3 vuvh is slow to anger, and great in power, but will not acquit the wicked: vuvh has His way in the whirlwind and in the storm, and the clouds are the dust of His feet. Historically, Nineveh was supposed an impregnable fortress, guarded by a system of moats, canals and massive walls. Isa 30:33 For Tophet is ordained of old; yea, for the king it is prepared; he hath made it deep and large: the pile thereof is fire and much wood; the breath of יהוה, like a stream of brimstone, doth kindle it. Prov 16:6 By mercy and truth iniquity is atoned for; And by the fear of יהוה men depart from evil. Mercy without justice is not truth. Grace without Law is not truth. Mercy without Truth is why a grace alone NT message is not true and unable to set the sinner free from falling again and again into sin. Mercy without justice is to tell the lie that sin doesn’t matter. 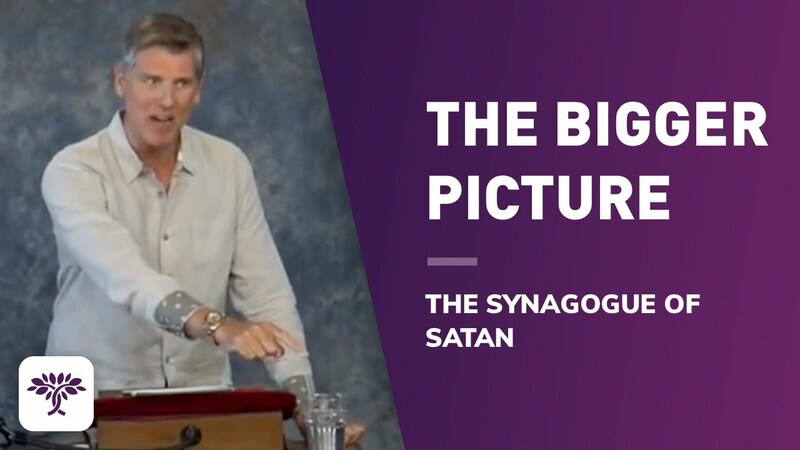 Grace without Torah is to tell the lie that sin doesn’t matter. Only when there is truth as well as mercy can we be cleansed from our sin. Only when there is Torah and Grace working together in the Melchizedek covenant of love can we be cleansed from sin. 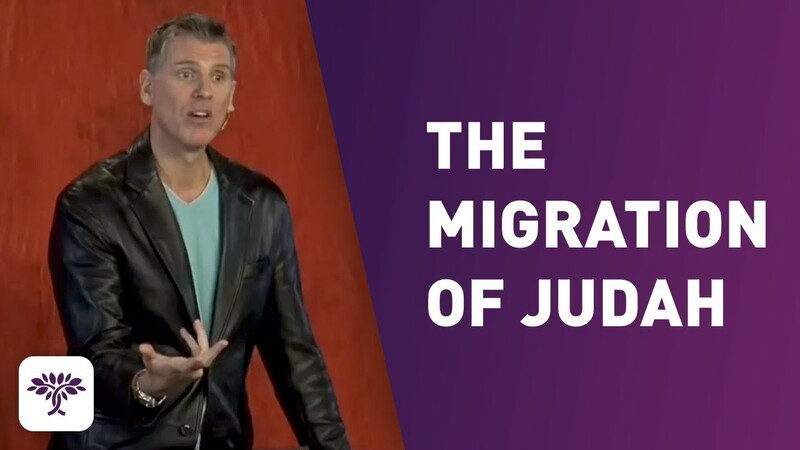 YHWH’s justice demands that sin be punished. יהוה’s mercy allows a substitute to take our place, to pay the penalty we deserved. 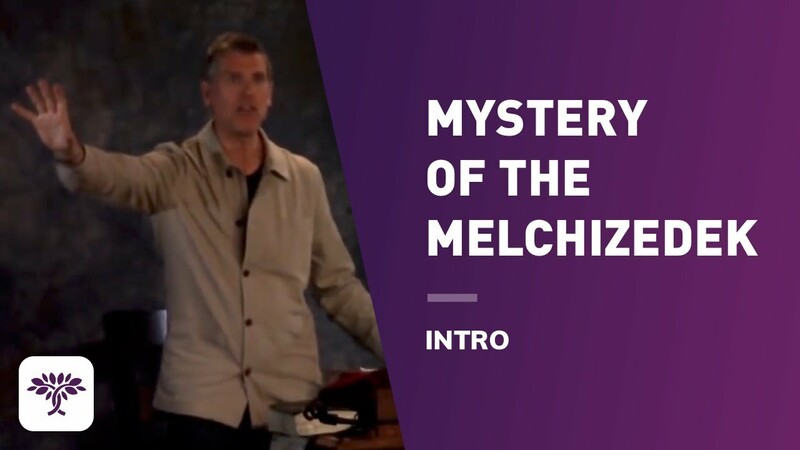 The Melchizedek reality is a legal transaction that took place where our HP took our sins and gave us His righteousness. Romans 5:19: by the obedience of one shall many be made righteous. V.3…V.8 The conjunction “WaW”, “and”, “furthermore”, “BUT”. V.8 But with an overrunning flood He will make an utter end of the place of Nineveh, and darkness shall pursue His enemies. The double WaW reveals that part of YHWH’s goodness is the fact that He is enemy to all those who defy His Sovereignty. יהוה is describing quantum physics where matter can go from one spot to another without moving through the intervening space (quantum tunneling). יהוה is showing us that as Bara/Creator He alone can pursue evil until it disappears through ‘quantum tunneling’ into the lifeless realm of chaos, void and nothingness, until it’s totally at an end and YHWH’s goodness alone remains in the space called erets/earth. By יהוה observing evil it actually influences the physical processes taking place. YHWH observance changes reality. And by Yahusha stepping into the boat it actually influenced the physical process and changed reality! All this can be explained through good and evil and quantum entanglement. 2 Pet 3:9 יהוה is not slack concerning his promise, as some count slackness; but is longsuffering to you-ward, not wishing that any should perish, but that all should come to repentance. 4 He rebukes the sea, and makes it dry, and dries up all the rivers: Bashan withers, and Carmel too, and the flower of Lebanon withers. 5 The mountains quake at Him, and the hills melt, and the earth is burned at His presence, yes, the world, and all that dwell therein. 6 Who can stand before His indignation? And who can survive the fierceness of His anger? His fury is poured out like fire, and the rocks are thrown down by Him. 7 vuvh is good, a stronghold in the day of trouble; and He knows those that trust in Him. 8 But with an overrunning flood He will make an utter end of the place of Nineveh, and darkness shall pursue His enemies. Rom 2:2 And we know that the judgment of יהוה is according to truth against them that practise such things. 3 And reckonest thou this, O man, who judgest them that practise such things, and doest the same, that thou shalt escape the judgment of YHWH 4 Or despisest thou the riches of his goodness and forbearance and longsuffering, not knowing that the goodness of יהוה leadeth thee to repentance? 5 but after thy hardness and impenitent heart treasurest up for thyself wrath in the day of wrath and revelation of the righteous judgment of יהוה. 9 What do you imagine against vuvh? He will make an utter end of it: affliction shall not rise up the second time. 10 For while they are entangled as thorns, and while they are drunk as drunkards, they shall be devoured as fully dry stubble. 11 There is one come out of you, that imagines evil against vuvh, a wicked counselor. No plans Assyria makes, no defenses she devises, no council she takes will turn aside the utter destruction that’s apportioned for her from the Most High – she’s reprobate – beyond redemption. 2 Sam 23:6 the sons of Belial shall be all of them as thorns thrust away, because they cannot be taken with hands:7 But the man that shall touch them must be fenced with iron and the staff of a spear; and they shall be utterly burned with fire in the same place. Now they find themselves on the receiving end of His judgment…why…because they grew a stout heart and took glory in high looks; Isa 10:12 I will punish the fruit of the stout heart of the king of Assyria, and the glory of his high looks.13 For he saith, By the strength of my hand I have done it, and by my wisdom; for I am prudent: and I have removed the bounds of the people, and have robbed their treasures, and I have put down the inhabitants like a valiant man. The moment any of us forget we’re just an instrument in the hand of יהוה we’re done! Isa 10:15 Shall the axe boast itself against him that heweth therewith? or shall the saw magnify itself against him that shaketh it? 12 This says vuvh: Though they be quiet, and likewise many, yet they shall be cut down, when he shall pass away. Though I have afflicted you, I will afflict you no more. 13 For now will I break his yoke from off you, and will burst your chains asunder. 14 And vuvh has given a commandment concerning you, that no more of your name be sown: out of the house of your elohim will I cut off the graven image and the molten image: I will appoint your grave; for you are vile. The final sin of nations and individuals is the sin of pride. 15 Behold upon the mountains the feet of Him that brings good tidings, that publishes shalom! O Judah, observe your moadim, perform your vows: for Beliyaal (Satan/wickedness/worthlessness/the powers of death at work in this world/used by Paul in II Cor. 6:15) shall no more pass through you; he is utterly cut off. Js. 1:1 ….to the twelve tribes which are scattered abroad, greetings. Mat 2:6 Yahusha shall rule my people Israel. Matt 15:24 I am not sent but unto the lost sheep of the house of Israel. Matt 19:28 sitting upon twelve thrones, judging the twelve tribes of Israel. The gospel is supposed to shine the light to the gentiles, to point them to graft into the glory of the people of Israel, not create a separate religion and use the gospel to 2Co 11:4 preacheth another Yahusha, whom we have not preached, or if ye receive another spirit, which ye have not received, or another gospel, which ye have not accepted, ye might well bear with him. Gal 1:6 I marvel that ye are so soon removed from him that called you into the grace of Messiah unto another gospel. Gal 1:7 Which is not another; but there be some that trouble you, and would pervert the gospel of Messiah. Lk 2:32 A light to lighten the Gentiles, and the glory of thy people Israel. Lk 24:21 But we trusted that it had been he which should have redeemed Israel. Ac 1:6 wilt thou at this time restore again the kingdom to Israel? Gal 6:16 And as many as walk according to this rule, peace be on them, and mercy, and upon the Israel of יהוה . Heb 8:8 new covenant with the house of Israel and with the house of Judah. It truly is good news, when we understand it’s proper biblical context!